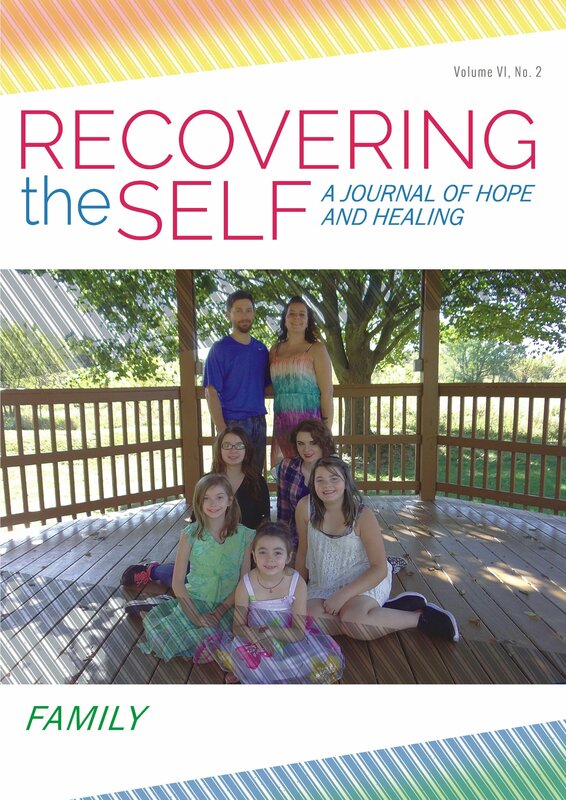 Recovering The Self is a quarterly journal which explores the themes of recovery and healing through the lenses of poetry, memoir, opinion, essays, fiction, humor, art, media reviews and psycho-education. Contributors to RTS Journal come from around the globe to deliver unique perspectives you won't find anywhere else! This issue's contributors include: Ernest Dempsey, Gerry Ellen, Leslee Tessmann, Bernie Siegel, Diane Wing, Patricia Wellingham-Jones, Patrick Gene Frank, Candy Czernicki, Chris Stark, Peter MacQuarrie, Nora Trujillo, Trisha Faye, Neall K. Calvert, Holli Kenley, Huey-Min Chuang, Marjorie McKinnon, Evelyn Horan, Janet Riehl, Mrrinali Punj, Robin Marvel, Don Bodey, Annie Harmon, Martha Carey, Christy Lowry, Sweta Srivastava Vikram, Susie Dunham, Aaron Ratliff, Joyce-Anne Locking and others.